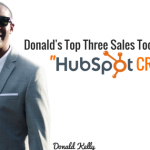 TSE 169: Selling The Ken Dunn Way! Home » TSE Podcast Post Page » TSE 169: Selling The Ken Dunn Way! 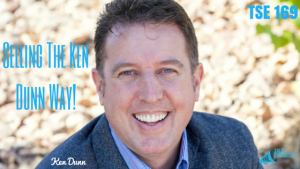 If you want to sell more, be more — This is what today’s guest, Ken Dunn, has to say when it comes to achieving that level of success you want! Ken Dunn seeks to create the biggest book club in the world through Reader’s Legacy, a wonderful online community geared towards advocating an avid reader’s connection with books. It’s more like Facebook for books, as he describes it. Ken has traveled all over the world doing sales and training on sales, speaking in more than 40 countries. He has written four books and has sold more than a quarter million copies. His whole platform is to help people understand that people aren’t buying a product. They’re buying you. And they won’t buy from you unless they like you. Once they like you, they’ll buy anything you’re selling. Ken has worked in the police force as an interrogator for 6 years and has trained under the greatest interrogators in the world. He eventually started 4 companies in the last 20 years – a mortgage company, a property management company, a direct selling company, and a publishing company. He has established himself as an entrepreneur responsible for over three quarters of a billion dollars in sales. Change is inevitable. Either take control of change and direct it or become a victim of it. Get away from negative people. If someone’s not adding value to your life, detach from them. Get around good, positive people. Read books. Be around other successful people. Do different things in your life by exposing yourself to different things. Be around like-minded people. People buy YOU and the better product you make yourself – informed, intelligent, good-looking, good-smelling – everything counts, the more likely that they’re going to buy from you. If you want to sell more, be more.